It's also legal in Indiana, but we don't use it either. 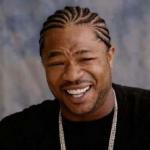 Indiana uses it more than Idaho or Wyoming, but not nearly as much as the South, according to media reports. They're not one of the ones making it into the top ten, but they're only barely below average for the nation. 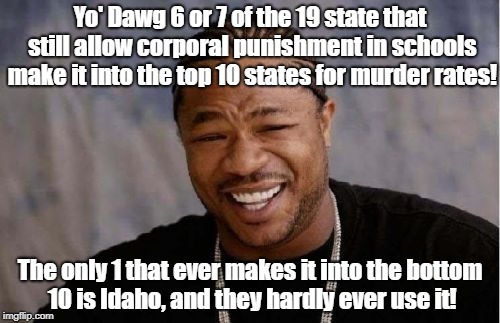 Yo' Dawg 6 or 7 of the 19 state that still allow corporal punishment in schools make it into the top 10 states for murder rates! The only 1 that ever makes it into the bottom 10 is Idaho, and they hardly ever use it!